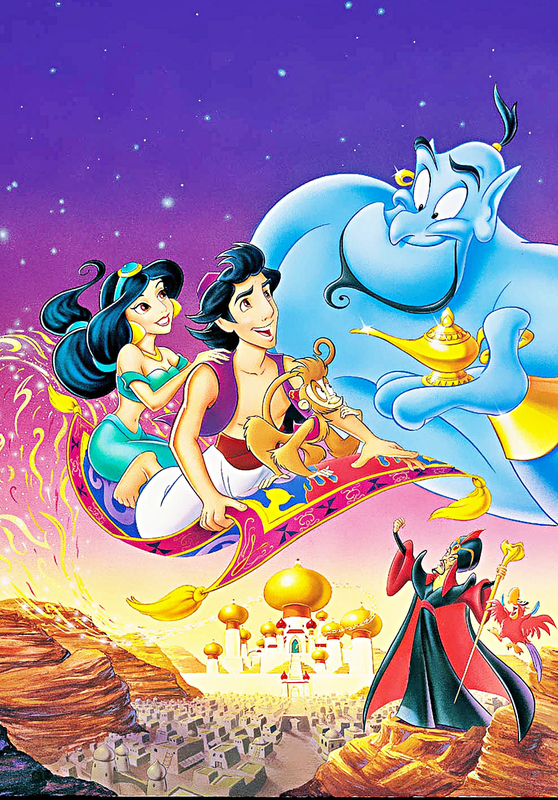 Buy Abu's look: Shirt, $12.99 ; Pants , $17.99 ; Shoes, $95.27 ; Bracelet , $4.24 ; Charm , $14.99 ; Beanie , $0.20. 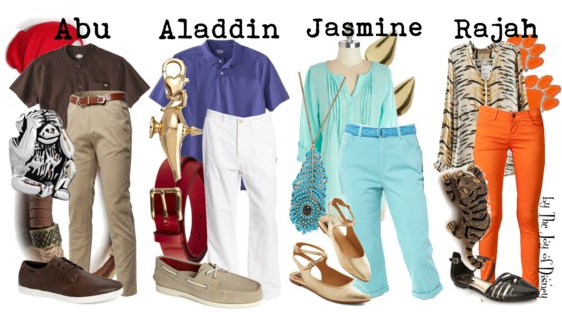 Buy Aladdin's look: Shirt, $8.99 ; Pants , $56.70 ; Shoes, $123.85 ; Belt, $22.86 ; Charm , $15.95. Buy Jasmine's look: Top, $39.99 ; Capris , $24.99 ; Shoes, $69.99 ; Necklace, $4.99 ; Earrings, $9.53. Buy Rajah's look: Top , $12.99 ; Jeans , $19.97 ; Shoes, $24.80 ; Pin , $24.30 ; Earrings , $10.52.